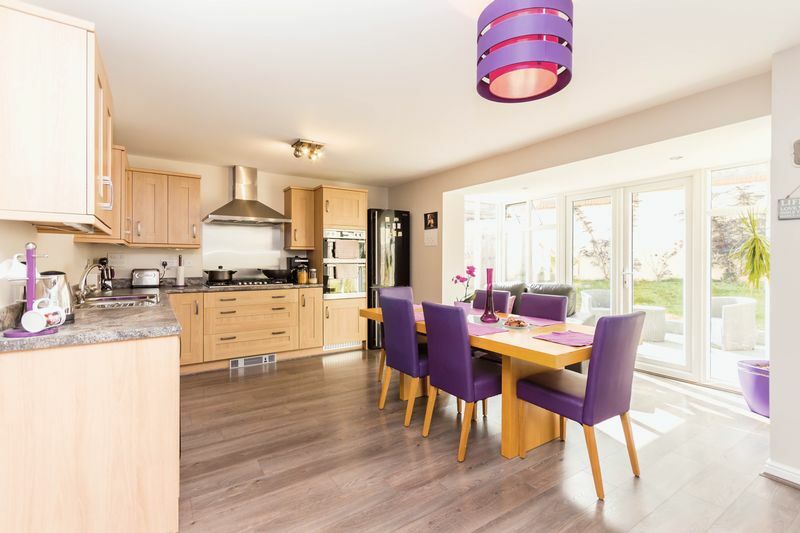 A beautifully presented large family home well located down a no through road on a popular modern development, built only five years ago. 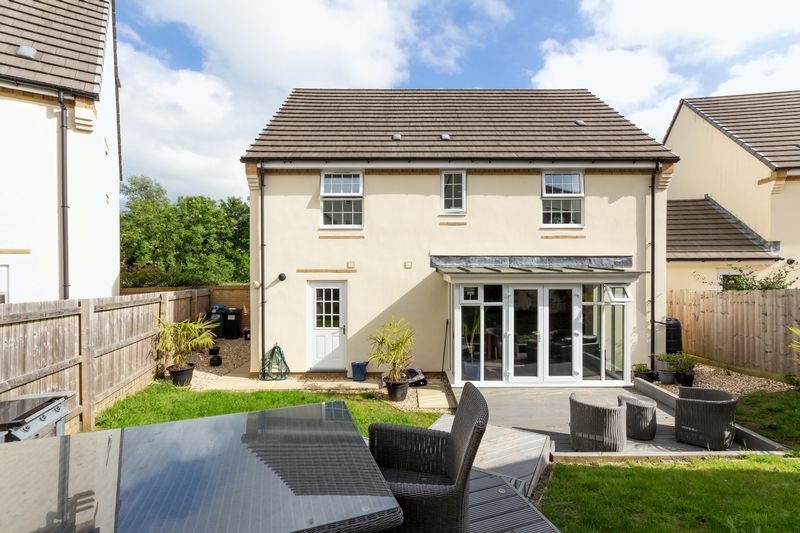 The house offers four double bedrooms (master en-suite), 4-piece family bathroom, modern kitchen/dining room with a separate utility room, living room overlooking greenery, garden and off road parking for 2 vehicles leading to a garage. 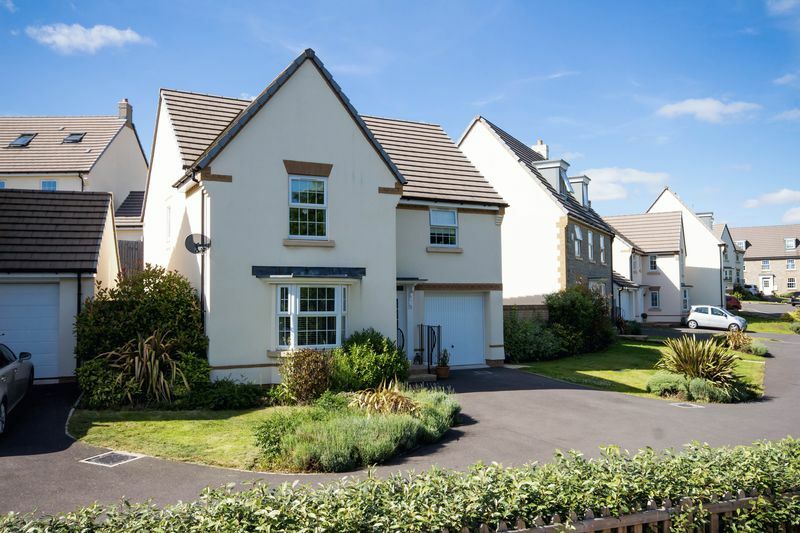 Great access to the A38, ideal for commuting to Exeter, Plymouth and Newton Abbot. 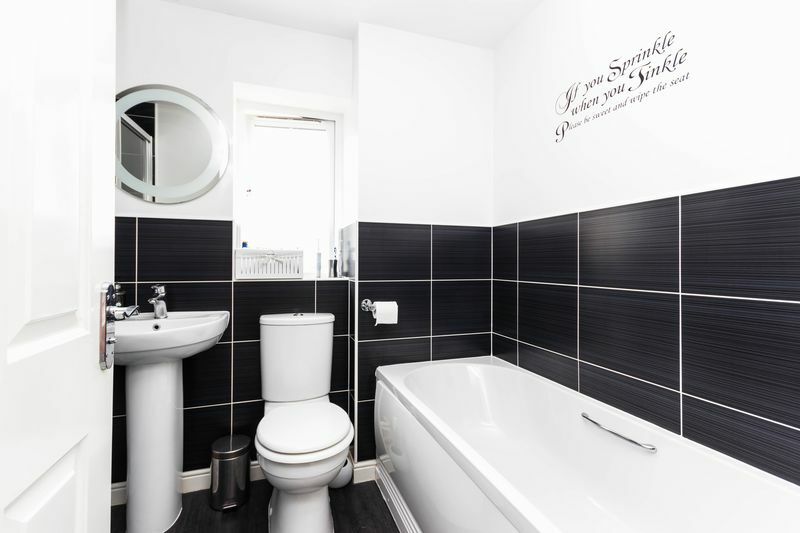 You enter the property into a spacious hallway with a large storage cupboard and a downstairs WC. 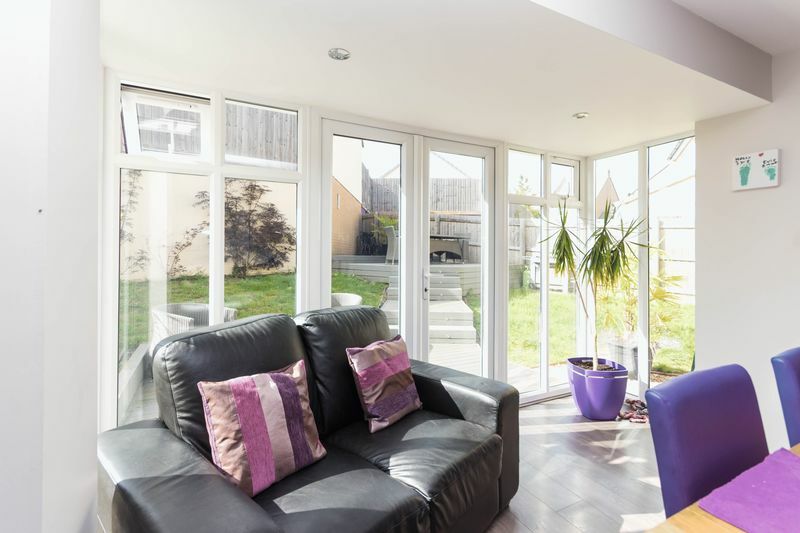 The Kitchen/dining room is naturally a light room benefiting from French doors to the garden with further full length window panels, creating a wonderful outlook onto the garden with ample space for a dining table and chairs - where better to entertain your guests? 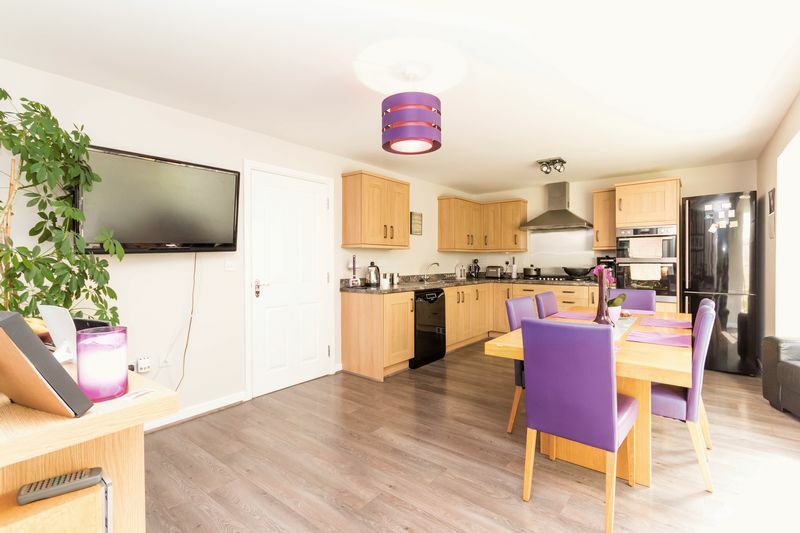 The kitchen is fitted with a range of base level and eye level wooden units with a granite effect work surface. There is a built in double electric oven and a gas hob. Space for a fridge/freezer and dishwasher. 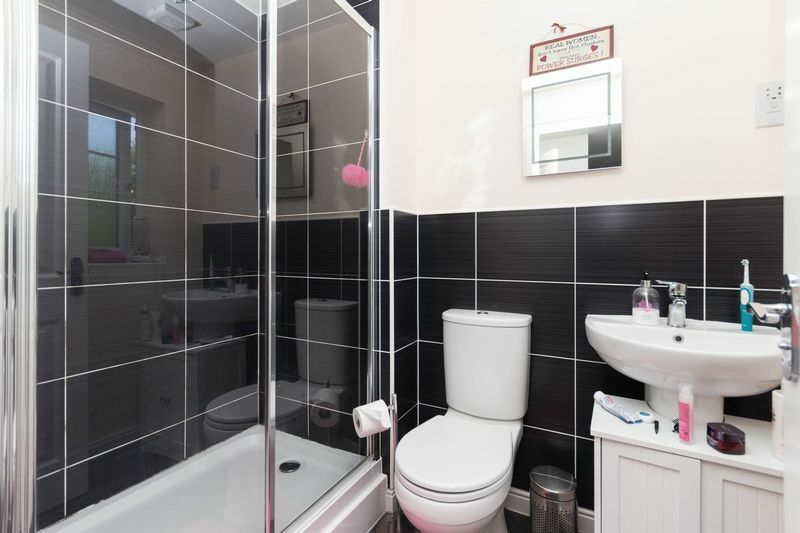 From the kitchen a door leads into the Utility room where there is a further door to the garden, a sink set into the work surface and space for a washing machine and tumble dryer. 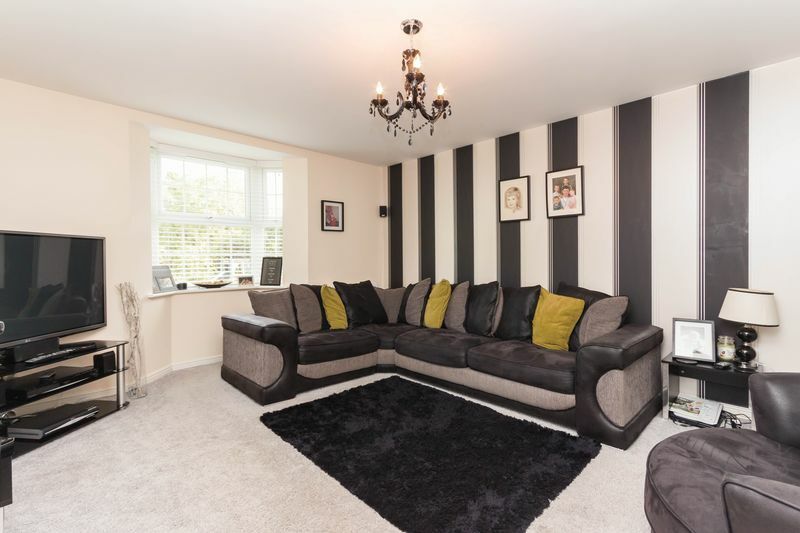 The living room enjoys a feature bay window which boasts a pleasant outlook to the front garden. 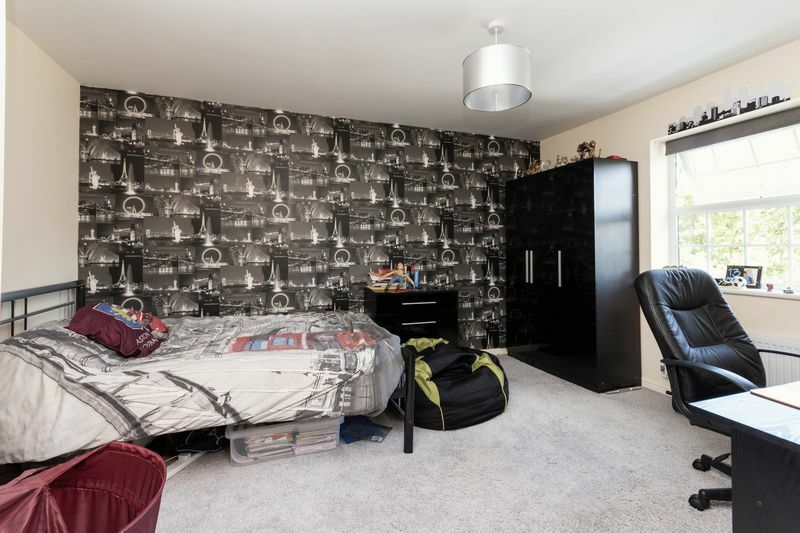 There is also a large useful storage cupboard. 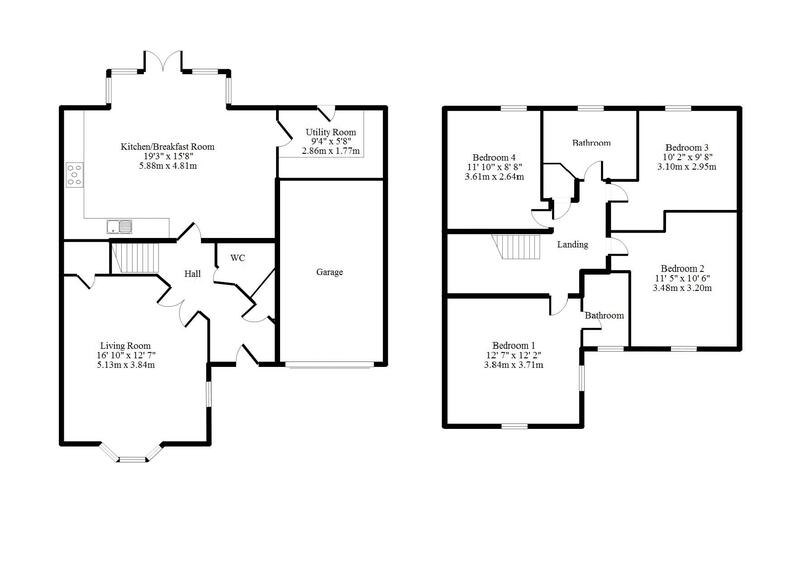 From the entrance hall, stairs rise to the first floor landing with doors to the four double bedrooms. 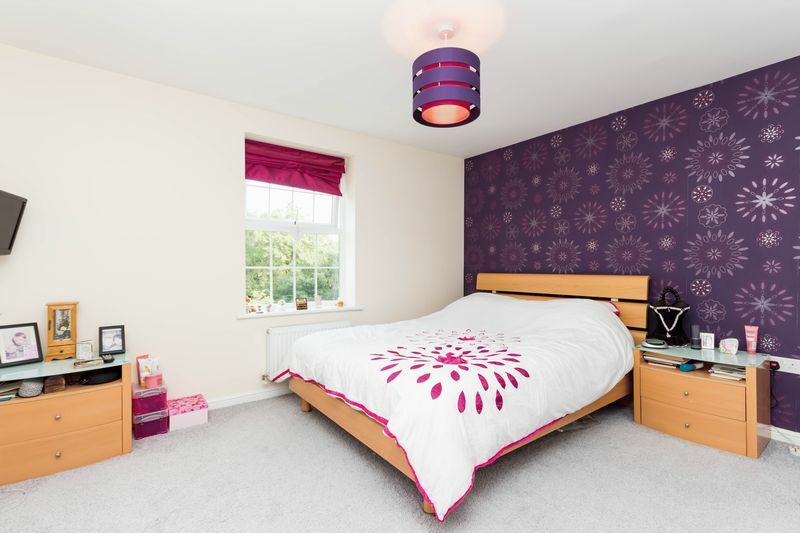 The master bedroom benefits from fitted wardrobes and an en-suite shower room with double shower unit. 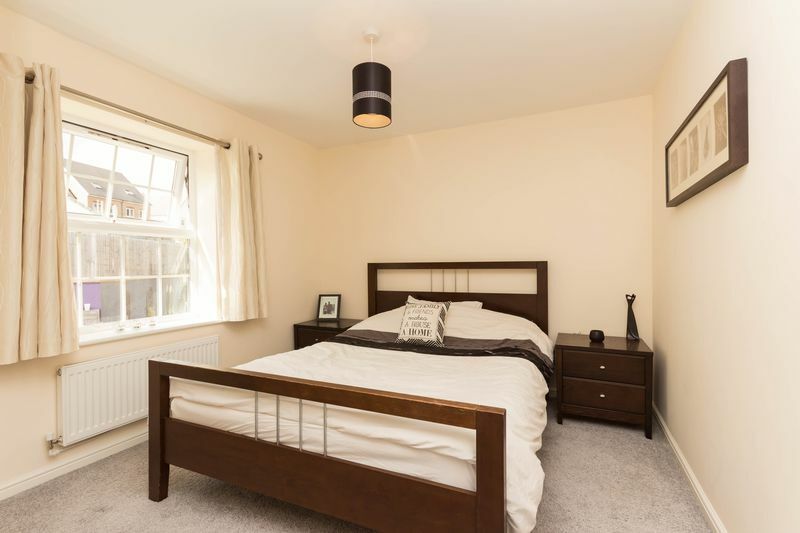 The further three bedrooms are well sized and are serviced by the family bathroom which has a four piece suite comprising a paneled bath, separate double shower unit, WC and wash hand basin. 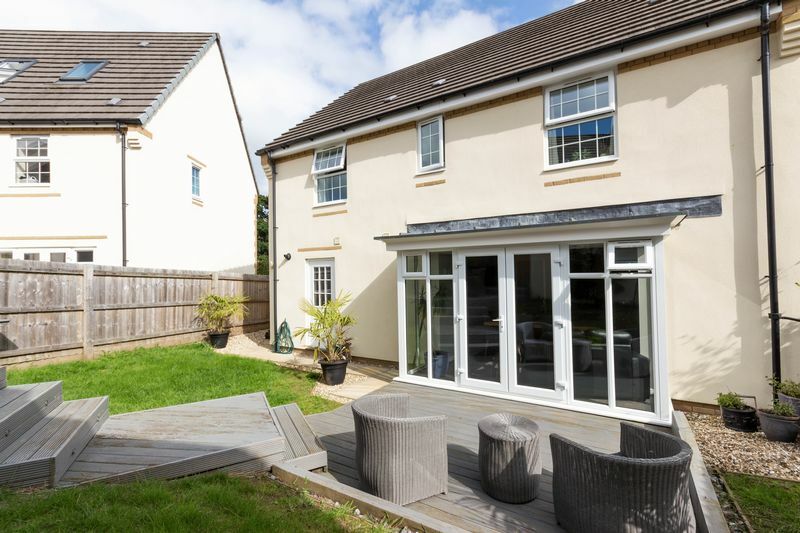 To the front of the property is a tidy front garden and off road parking for two vehicles leading to the garage, which has an up and over door. 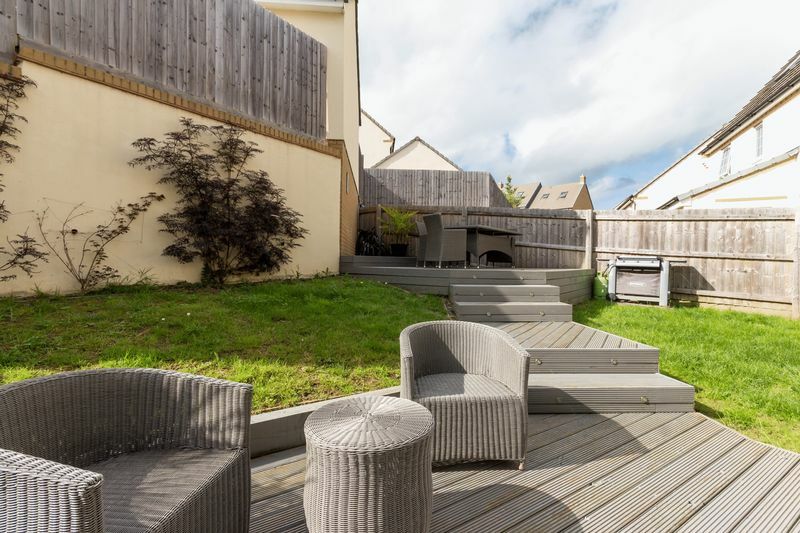 The rear garden has been beautifully landscaped into two tiers of decking with surrounding lawn. Benefiting from the sun throughout the day and early evening! There are several great spots for a table and chairs to sit back and relax with an afternoon tea. There is a graveled area to the side of the property with access to the front.